There is nothing like a morning run to start your day right. Although I do not run on a daily basis, I make sure that I run at least 3 times a day. I had been really busy the past few days with all the customer related issues that I encountered while working for LeoVegas. I thought I needed a break from my usual routine so I went on a special run this morning. I decided to do the Princess Diana Run today. I usually go on my own route but since I needed something special to take my mind off things at work, I decided to go on this particular run. If you are unaware, the late princess loved to jog through the many London parks too. This particular run follows a marked route that goes through Kensington Gardens, Hyde Park, Green Park and finally St. Jame’s Park. It runs a total of 7.2 miles – quite a huge achievement for an early morning run. This route allows me to passed by a lot of palaces and memorials along the way. There is something about them that makes me feel at ease – I am not sure why. The route is a bit busy, so I usually avoid it especially when there is an event in Hyde Park. But since there were no festivities, I opted to go this way. There were a lot of runners but since I started early, I got a good head start before they flocked the route. I have to admit that part of the reason I chose this route today is I get to have breakfast in my favourite place – Serpentine Bar & Kitchen. After my morning run, I went home, took a quick shower, grabbed my stuff and headed out to grab some breakfast. I got a fresh smoothie and a sandwich then took my place in one of the tables outside. It’s a bit heavy for breakfast but I need the energy to get me going. I loved how I can sit outside, eat my breakfast and work at the same time. The air is usually busy as people come and go but the scene by the Serpentine Lake is peaceful enough to help me concentrate. It certainly got me really motivated to work for a couple of hours today! I didn’t even notice that it was already lunch time! I end up ordering fish and chips so I don’t have to disrupt my work. I ordered water this time. I wanted another smoothie but I have to watch my sugar intake. The water was refreshing enough. 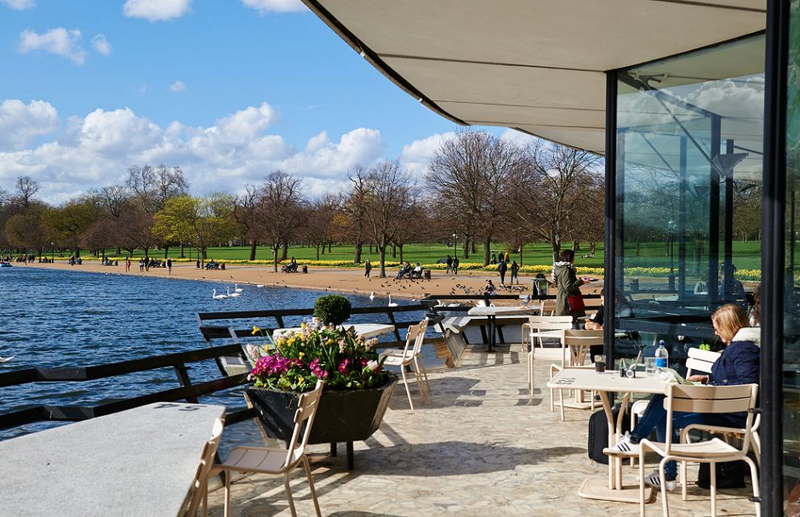 I decided to work only a couple of hours today so I was able to stay the whole time at the Serpentine Bar. I have to say, my morning run really got me energized to complete my work without feeling bored or anything. That is what I love about it. The physical exertion allows me to set the energy level high – and it usually lasts until the afternoon. With a healthy breakfast, it is the perfect combination to fuel my day.